The amazing advocacy of the DRM-PT movement has resulted in the country's Parliament passing a bill that legalizes breaking DRM to accomplish lawful ends, such as exercising the private copying right, or making uses of public domain works or works produced at public expense. The bill still has to be signed by the president to enter law. This is a most welcome development! I've read the bill and commentary and one thing I can't quite figure out is whether the bill authorizes uses alone, or if it also encompasses the tools to make those uses. Many DRM rules -- including those implemented under Article 6 of the EUCD (like the Portuguese law), and the rules defined under Section 1201 of the US DMCA -- create some exemptions for "legitimate uses," but they do not authorize the creation of tools to accomplish these uses. A good example is Norway's DRM law, which grants an exemption for blind people who want run ebooks through screen readers or Braille embossers. However, it does not authorize anyone to make, distribute, or assist in the creation of a tool to do this. When I debated the minister who drafted this legislation in Oslo more than a decade ago, he admitted that the way the law was supposed to work was that each blind person would become a software developer, and would each, individually, discover flaws in ebook DRM, exploit those flaws to extract ebooks they'd purchased, and then run them through their assistive tools. They could not share the flaws they discovered, nor the tools they made, nor the books they'd unlocked. Any blind person who was not also a programmer with advanced reverse-engineering skills would not be able to take advantage of this. In the USA, temporary exemptions are granted every three years at the Copyright Office's 1201 exemption process. These exemptions are also strictly "use" exemptions, not "tools" exemptions. So you are legally allowed to jailbreak your mobile devices -- thanks to the latest exemption -- but you are expected to do so without outside assistance (including any outside instructions or HOWTO files). Under the DMCA, you are expected to discover an error in the Ios operating system, develop a tool that exploits that error, and jailbreak your own Iphone, and you are bound -- under both criminal and civil liability -- never to reveal to anyone how you did this. I can't tell whether the Portuguese bill is a use exemption or a tools exemption. Some Europeans have mooted the possibility of tying use exemptions to court orders for non-DRM versions of a work; in other words, rather than making their own DRM-breaking tool, a blind person would be able to hire lawyers to sue publishers to give them non-DRM-locked ebooks they could use with their assistive technology. This is an improvement, but it's still obviously inadequate: expensive, cumbersome, and unduly burdensome to people who want to exercise their rights under law. I suspect the Portuguese proposal is drafted to comply with Article 6 of the EUCD, and will thus only permit uses, and not tools -- though perhaps with some process to require DRM-free versions to accomplish those uses (and maybe with a nuclear option of being able to develop and traffic in tools if the DRM vendor doesn't comply). But in an ideal world, Portugal -- which is struggling under austerity -- would use this law to give itself the right to develop tools to unlock DRM for lawful purposes, and export them, both to the EU (though they'd face enforcement action from the EU if they did) and to the rest of the world. If GM can get $75,000 out of every mechanic in exchange for the tool that unlocks the DRM from its engine-telemetry, Portuguese companies could make a $100 version of this tool (an app you run on a phone or laptop) and sell it to mechanics in every country in the world, offering support and service through ongoing contracts. This tool would be virtually impossible for other countries to interdict, and it would allow small, local, independent repair shops to offer better service at lower prices in communities wherever GM cars are driven. DRM has metastasized into every corner of our world; it's even coming to the web. Portugal could set itself up for billions in policy arbitrage at the stroke of a pen, selling products that virtually no other country on earth could compete with, and which every country demands. 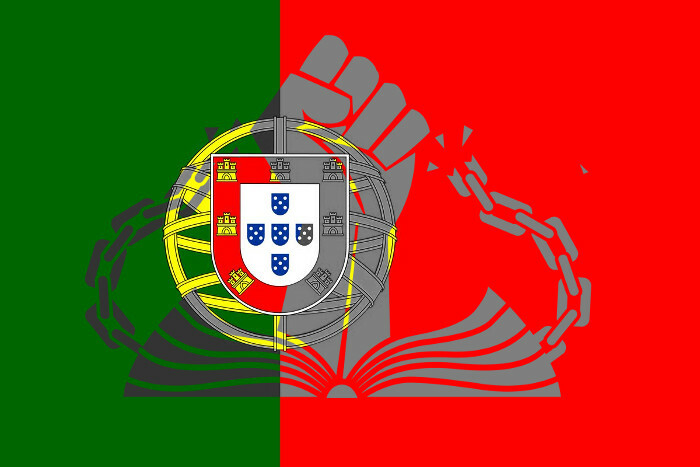 From alternative app stores to alternative tractor firmware, Portugal would be a powerhouse, during the planet's DRM dollars into DRM-breaking dimes for its own treasury, while saving the world's technology users billions and enabling local repair, service, parts, consumables and app markets. In a boost to educators, citizens will be given the right to circumvent DRM for teaching and scientific research purposes. There will also be an exception for private copying. The draft also outlaws the use of DRM on copyright works that have fallen into the public domain, works which support cultural heritage, and works that were created by public entities or funded with public money.